Helping children & their families breathe easier & sleep better. 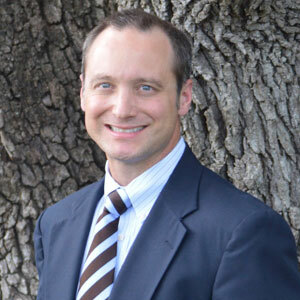 Dr. Kelly J. Smith, a native of New Braunfels TX, received his Bachelor of Arts degree from Austin College in Sherman TX in 1996, and his M.D. degree from The University of Texas Health Science Center in San Antonio TX in 2000. He completed his internship and residency in both Internal Medicine and Pediatrics at the University of Kentucky Chandler Medical Center in Lexington KY and was appointed to Chief Resident of Internal Medicine and Pediatrics. He then moved home to Texas and completed his fellowship in Pediatric Pulmonology at Texas Children's Hospital (the largest children's hospital in the world and consistently ranked as one of the top pediatric hospitals in the nation) and Baylor College of Medicine in Houston TX from 2004-2007. He pursued additional training and research in Sleep Medicine at the Texas Children's Sleep Center. Dr. Smith then moved to San Antonio with his wife and two children. He started his solo private practice in 2007 in multidisciplinary fields of pediatric pulmonology and adult/pediatric sleep medicine. He co-founded the multidisciplinary group practice Texas Medical & Sleep Specialist, PLLC (now known as Texas Pediatric Specialties and Family Sleep Center) with his partners in 2009. Dr. Smith is quadruple-boarded in Pediatric Pulmonology, Sleep Medicine, Pediatrics, and Internal Medicine. Dr. Smith's goal is to provide the highest quality of professional, friendly, compassionate, and comprehensive patient care. Smith KJ, Dishop MK, Fan LL, Moonnumakal SP, Smith EO, Bayindir P, Guillerman RP. Diagnosis of Bronchiolitis Obliterans with Computed Tomography in Children. Pediatric Allergy, Immunology, and Pulmonology. 2010 Dec; 23(4): 253-9. Smith KJ, Fan LL. Insights into Bronchiolitis Obliterans in Children. Thorax. 2006 Jun;61(6):462-463. Smith KJ, Elidemir O, Dishop MK, Eldin KW, Tatevian N, Moore RH. Intravenous injection of pharmaceutical tablet constituents presenting as multiple pulmonary nodules and declining pulmonary function in an adolescent with cystic fibrosis. Pediatrics. 2006 Sep;118(3):e924-8. Ivy DD, Doran AK, Smith KJ, Mallory GB, Beghetti M, Barst RJ, Brady D, Law Y, Parker D, Claussen L, Abman SH. Short and Long-Term Effects of Inhaled Iloprost Therapy in Children with Pulmonary Arterial Hypertension. JACC (in press). Eldin KW, Smith KJ, Moore RH, Mallory GB, Elidemir O, Hicks J, Dishop MK. Pulmonary Complications of Drug Abuse in Cystic Fibrosis Patients: Report of Two Cases. Society for Pediatric Pathology/Paediatric Pathology Society Joint Meeting, Tours, France, September 2005 (poster presentation). Smith KJ, Mallory GB. Successful Transition from Parenteral to Inhaled Prostanoid Therapy in Pulmonary Arterial Hypertension. Chest 2006 (in press) (poster presentation). * Smith KJ, Mallory GB, Abman SH, Ivy DD. Airway Hyper-reactivity After Iloprost Inhalation in Pediatric Patients with Pulmonary Arterial Hypertension: Chest 2006 (in press) (oral presentation). * Selected as one of 20 winning abstracts of the 2006 CHEST Foundation's Young Investigator Awards. Kelly J Smith MD, Daniel I Feig MD, Daniel G Glaze MD. The Prevalence of Sleep-Related Breathing Disorder in Pediatric Patients Presenting with Hypertension: Interim Analysis of a Pilot Study. Third Annual Pediatric Sleep Medicine Conference, March 2007 (poster presentation). R.R. Deterding, M.D., L.R. Young, M.D., M. Dishop, M.D., L. Fan, M.D., et al. Diffuse Lung Disease in Older Children – Report of the ChILD Network Review. American Thoracic Society, May 2007 (poster presentation). Kelly J. Smith MD, Daniel G. Glaze MD, Daniel I. Feig MD. Characteristics of Sleep Habits in Pediatric Patients Presenting with Hypertension: Interim Analysis of a Pilot Study. 21st Annual Meeting of the Associated Professional Sleep Societies, June 2007 (poster presentation).